The US authorities have launched an initiative targeting illegal imports of unsafe counterfeit consumer electronics. Operation Surge Protector – organised by Immigration and Customs Enforcement (ICE) and Customs and Border Protection (CBP) in targeting electronic goods known to present health and safety hazards by overheating, igniting, and causing severe injuries and extensive property damage. That includes phony digital media devices, power adapters and consumer technology powered by lithium ion batteries. 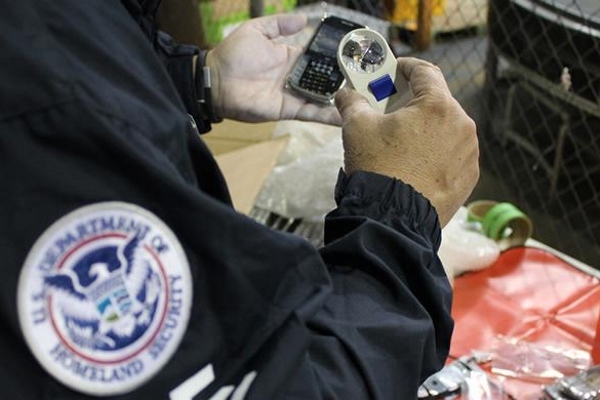 Counterfeit electronics are routinely the second most seized commodity during the course of intellectual property enforcement conducted by ICE and CBP. Between fiscal 2013 and fiscal 2015, homeland security personnel made over 17,000 seizures related to counterfeit consumer electronics. The new effort will provide additional resources to agents and allow investigators to more effectively track arrests, indictments and convictions surrounding the illicit sale of these items. "Our collaboration with industry and external law-enforcement agencies has revealed that counterfeit electronics are a serious threat to public safety on par with fake pharmaceuticals and bogus automotive parts," said ICE - Homeland Security Investigations (HSI) executive associate director Peter Edge. "We are committed to conducting aggressive investigations and targeting individuals who would violate consumer trust by recklessly selling dangerous imitation products." There are several dozen active investigations into the illegal sale of fake consumer electronics, as well as multiple pending federal criminal prosecutions brought by the Department of Justice. "The malfunction or failure of counterfeit consumer electronics could have dangerous consequences to U.S. consumers," said Assistant Attorney General Leslie Caldwell of DoJ's Criminal Division. "The Justice Department will continue to prosecute traffickers and manufacturers of these counterfeit electronics who choose profit over public health and safety." In FY 2016, CBP seized nearly 108,000 hoverboards worth an estimated $46.4m at 54 different ports of entry for copyright violations, and recent increased enforcement actions focused on fake electronics resulted in hundreds of seizures, which prompted the IPR Center to review its operational portfolio and initiate a new effort dedicated to consumer electronics. Consumers planning to purchase technology, powered by lithium ion batteries, from brick-and-mortar retailers or online from independent sellers and third-party marketplaces can protect themselves by confirming the presence of an authentic Underwriters' Laboratories (UL) certification seal on the product.